The IRCTC released a list of summer special trains that will be run by Indian Railways to clear the extra rush during the holiday season and facilitate hassle-free trips for travellers. Western Railway announced that 19 special trains will do 390 trips to deal with the rush experienced on train netowrks during summer holidays. 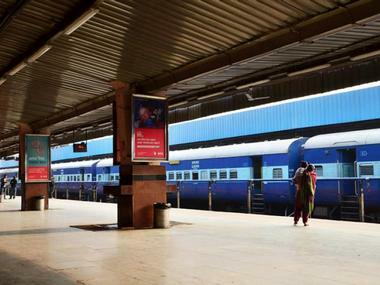 These trains include Mumbai Central-Lucknow Jn Weekly Superfast Suvidha Special Train, Mumbai Central-Lucknow Jn Weekly Superfast Special Train o­n Special Fare, and Bandra (T) – Jammu Tawi – WeeklyAC Super Fast Special train, among others. They will start from Mumbai, Udhna, Ahmedabad, Gandhidham and Indore to various parts of the country like New Delhi, Jammu Tawi, Jaipur, Ajmer, Patna, Gorakhpur, Amritsar, Chappra, Agra, and Mangalore. The South Central Railway introduced 26 summer special trains that will cover Bargarh Rd, Bolangir, TilagarhJn, Kesinga, Raygada, Vizianagaram, Visakhapatnam, Duvvada, Samalkot, Rajahmundry and Vijayawada, among others. Nilgiri summer special trains were announced by Southern Railway, which will run between Mettupalayam and Udhagamandalam and over Nilgiri Mountain Railway section. It will cover areas including Kallar, Hillgrove, Coonoor, Wellinton, Aravankadu, Ketti and Lovedale.